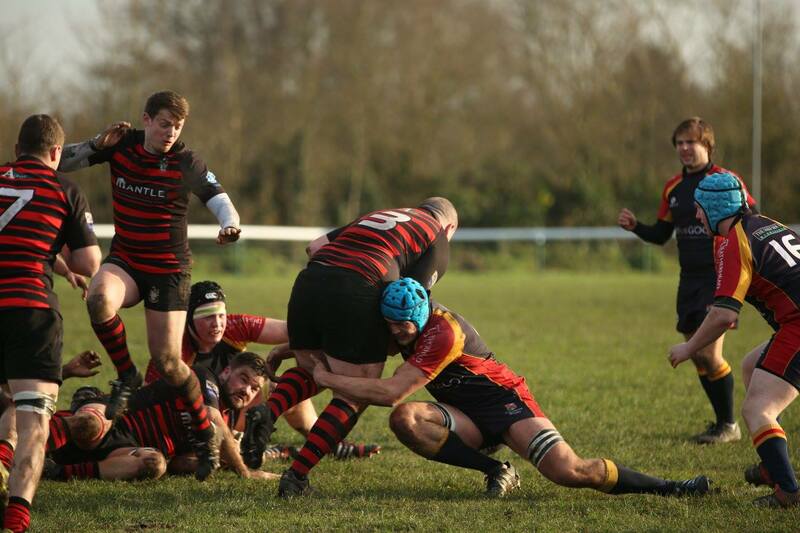 Match Report from David Page, Director of Rugby : This was the first run out for Mighty Chobham in over a month and so there was finally a chance to blow away the cobwebs and the excess from the festive season and begin the effort to see if they can attain 2nd place and a shot at promotion. Chobham began the game in 7th place, 13 points behind 2nd placed Guildford but with a game in hand. 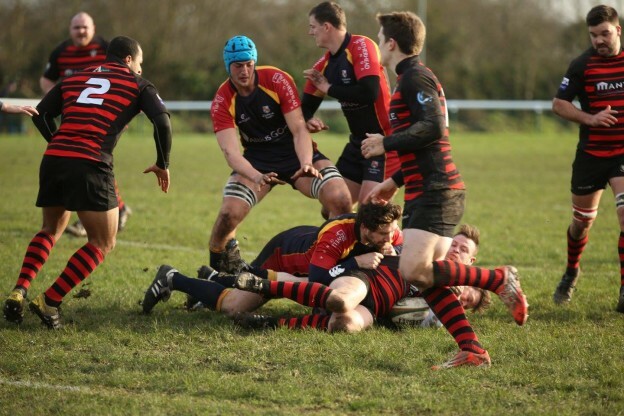 Twickenham who had given Chobham a tough ride in September sitting in the bottom three. 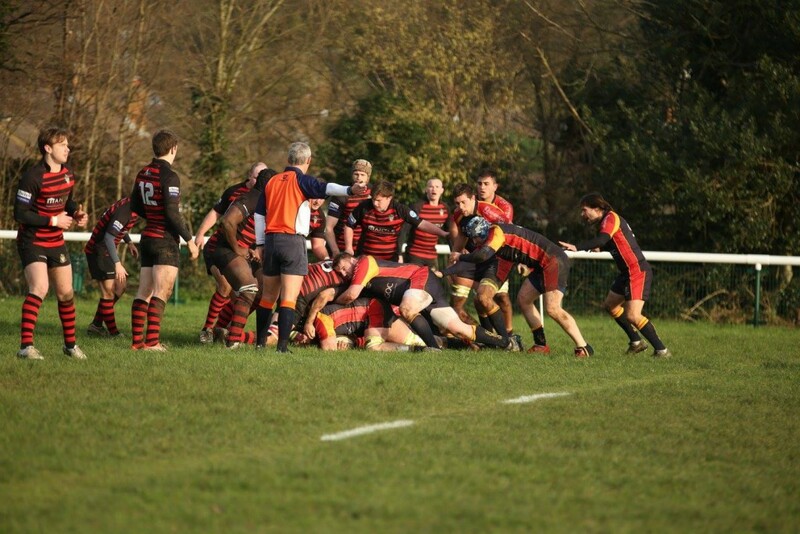 Chobham began brightly and from the early engages they dominated the scrum, line out and possession. Twickenham to their credit were dogged and were not going down easily. On 10 minutes Chobham’s first chance of points saw Liam Monaghan’s penalty attempt go wide. It took only two more minutes to see the first points and a blistering run down the left flank by No 8 Ollie Smith saw him dive in for the first score, Monaghan converted (7-0). It took another 15 minutes for Chobham to increase the lead even though they had the lion’s share of the ball, on 27 minutes Monaghan went over for the first of his brace, followed on the stroke of half time by his 2nd, he converted both and Chobham took a 19 point to nil lead as the players went back into the shed for half time. Chobham now playing up the slope and into the sun began were they left off and took charge of the scrum from which they won several against the head and some penalties. 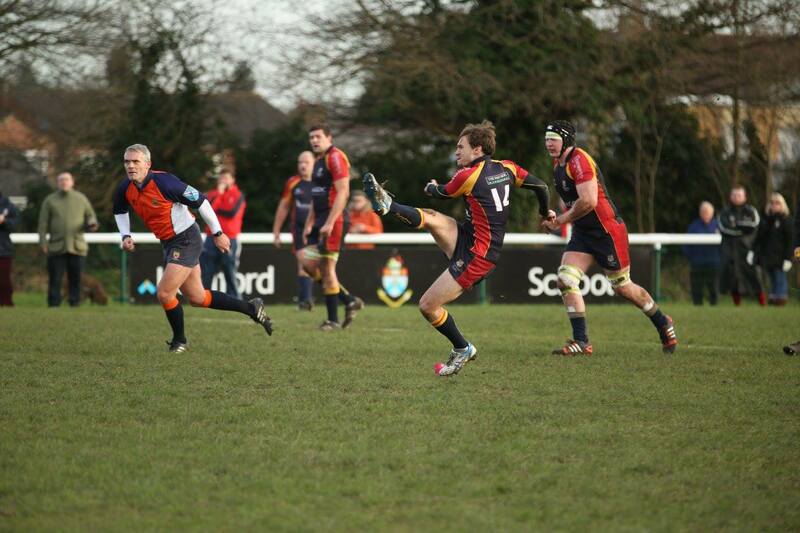 The line out also functioned well with some great variations that baffled the opponents. On 49 minutes Chobham extended the lead, resulting from a passage of a dozen phases the ball ending up out on the right hand side saw Joe McVey go over to secure the 4 try bonus point, Monaghan adding the extras, 26-0. Twickenham did not give in and they had the better of a 10-minute passage of play that saw some brilliant defending by Smith and replacement full back Lawrence Elliot without which Twickenham would have gone over. It too the home side until the 62nd minute to score again, Smith with his brace and Monaghan’s conversion his 18th point of the game giving Chobham a 33 point to Nil lead. The day did end in slight disappointment as Twickenham scored their only points of the day with minutes remaining, the disappointment in that a clean sheet would have been the icing on the cake. 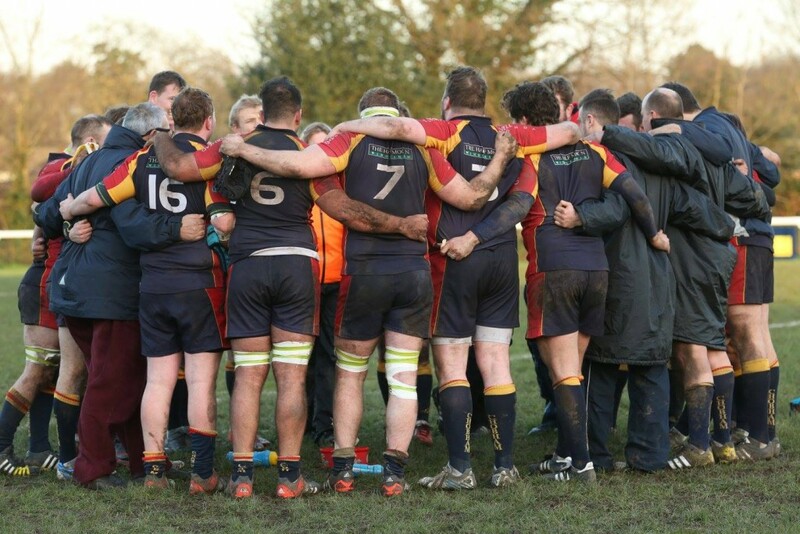 With a 33 point to 5 victory Chobham moved up to 4th in the league and whilst still 13 points behind 2nd placed Guildford, Chobham have several key figures returning soon from long term injuries and this will bolster the squad and hopefully keep the candle burning. Next Saturday they face a difficult task away at Brighton.